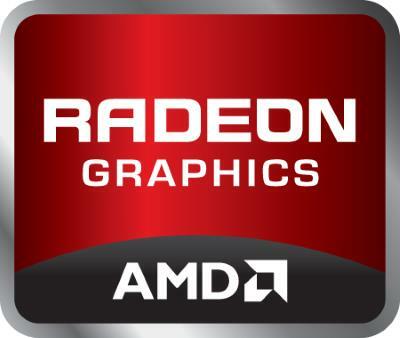 The AMD Radeon R5 graphics integrated in the popular AMD A8-6410 processor offers similar performance with the even more popular Intel HD 4400 and 5500 IGPs. Generally, laptops based on AMD’s technology are cheaper than those powered by Intel, so notebooks with the A8-6410 / Radeon R5 are a good solution for budget-conscious occasional gamers. The R5 is able to easily crunch less demanding titles like League of Legends or Minecraft on medium settings. Counter Strike – Global Offensive runs very smoothly if you set graphics details and resolution to low, while more demanding Battlefield 4 can be described as “playable” at the same settings. For a list of laptops with the A8-6410 / Radeon R5 click here. Hey there. I’m looking forward to buy a laptop with a 4th gen i7.and a nvidia gt720m.I’m planning to use this mainly for gaming.Will games like far cry 4, gta v and others work well with it…..maybe on medium settings? 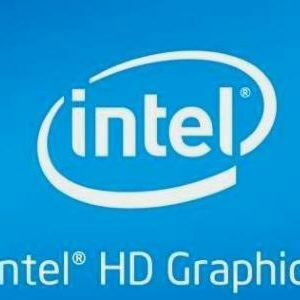 Where does R4 stand in comparison to intel graphics? it is equivalent to which intel gpu? and do radeon gpus heat more ? Thanks for the feed back. Now my options have changed. I have been looking around and now I need to choose between a hp with 2.0ghz AMD A10 quad core with 3GB radeon graphics, 8GB RAM and 1TB hard disc.I found this tempting vs a hp core i5 5200u and 2GB Nvidia geforce, but with 4GB RAM and 500GB harddisk. Which will be king in gaming and why? they cost roughly the same and are within my budget. Video card memory size isn’t the most important factor when it comes to gaming. The video card model is. So, can you specify what exact video card models are in question? For instance, Radeon card can be Radeon R5 M230, R9 M375, etc. Nvidia GeForce models are GTX 860M, 950M etc. Also please list the full model name of the AMD A10 CPU. I have a query. I a student in my second year. We do alot of programing and also am a gamer on a tight budget,. My favorite game right now is injustice Gods among us and NFS MW. I want your opinion on a the hp Pavilion 15-N215NR, it has this AMD A8, quad core and AMD Radeon HD 7600G Graphics, am Kenyan and here it costs ksh41500, thats about $420 , will it serve me well, at least for 2 years? is there a better option at this price range? For programming and gaming for around $400, a laptop with the A8 (A8-4555M I assume) with Radeon HD 7600G appears to be a good choice. If you can find a laptop with a 5th or 6th Gen Core i3 with HD 5500 / HD 520 graphics for the same price, you’ll get a similar gaming experience but a bit faster speed for programming and day-to-day tasks. In both cases, the CPUs and their integrated GPUs are not good gaming solution, but you can play many games if you lower the detail settings. I haven’t tested this, but I think the Injustice Gods will run decently on the A8, while Need for Speed appears to be too heavy for it. Hey! So I am new to photography and I am looking for a better computer. Do you think the amd Radeon R5 is good enough to look at and edit pictures? Or should I upgrade to R7? If your photo editing software can utilize the video card for faster editing, than getting a better GPU has sense. Otherwise, not so much. The processor itself is still the main performance factor in today’s laptops. I used to do editing of high-resolution photos on CPUs slower than the AMD A8, such as Pentium Ivy Bridge and still able to complete my work decently fast. If you however want ultimate performance, the best combination is a quad-core Intel i7 processor combined with some dedicated video card and software which can use both the CPU and GPU.